Kelly is looking forward to continuing conversations across the district and has planned three town hall listening sessions – different dates and times to accommodate our large district. Please join in and bring family, friends, and neighbors. You are cordially invited to the MN House of Representatives Swearing-in Ceremony on January 8, 2019. Room 120 of the State Office Building will be open to the public at 11:30 am and the House will convene at noon. Please come to Office 429 (our new office!) in the State Office Building 30 minutes after the House adjourns for a reception and refreshments. The Lakeshore Weekly News published an article on January 1, 2019 listing the newly announced committee assignments for area legislators. The Sun Sailor published an interview with Kelly (and Patty Acomb) on December 28, 2018 discussing preparation for their upcoming legislative duties. Clergy and parishioners from Kelly’s church partnered with the local Chamber of Commerce and League of Women Voters to sponsor a nonpartisan meet and greet for candidates on October 16th. The Lake Minnetonka Cable Commission produced a Candidate Statement segment with Kelly as part of their Election 2018 series. 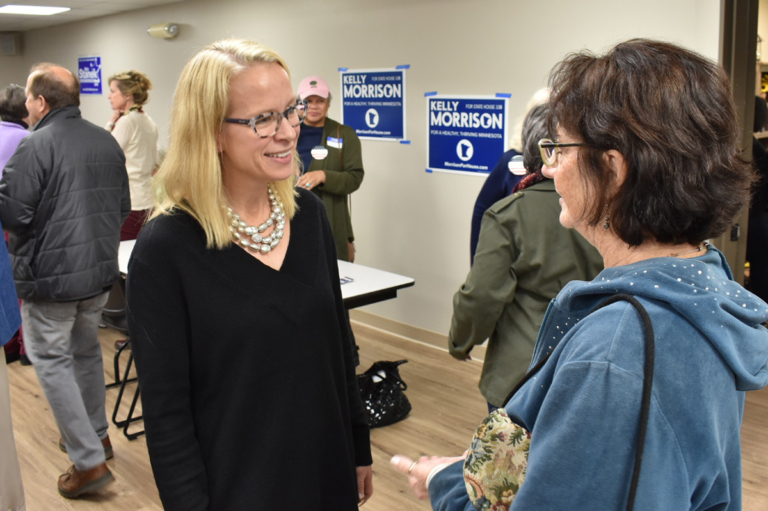 Kelly Morrison is endorsed by Governor Mark Dayton and Republican former Governor Arne Carlson. Is there a Doctor in the (state) House?